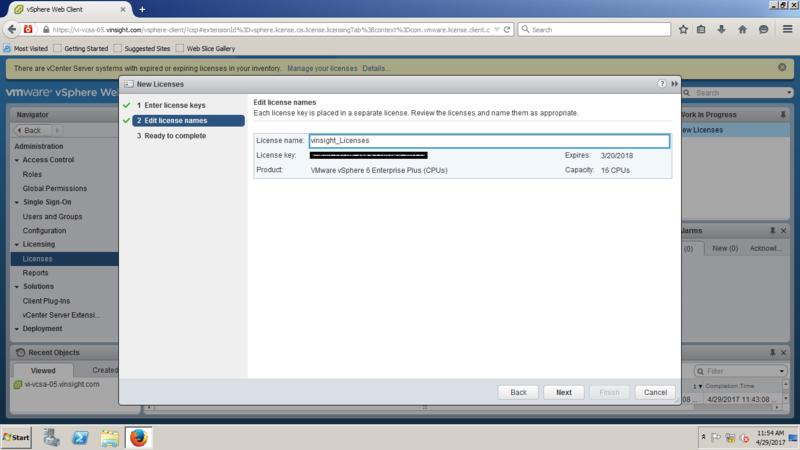 Two Steps to Manage this Licensing for vCenter. 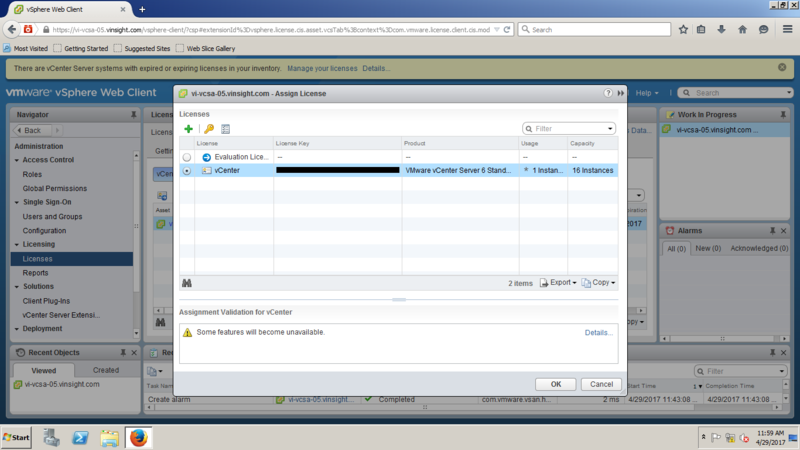 Please note the same we can do for ESXi Hosts. 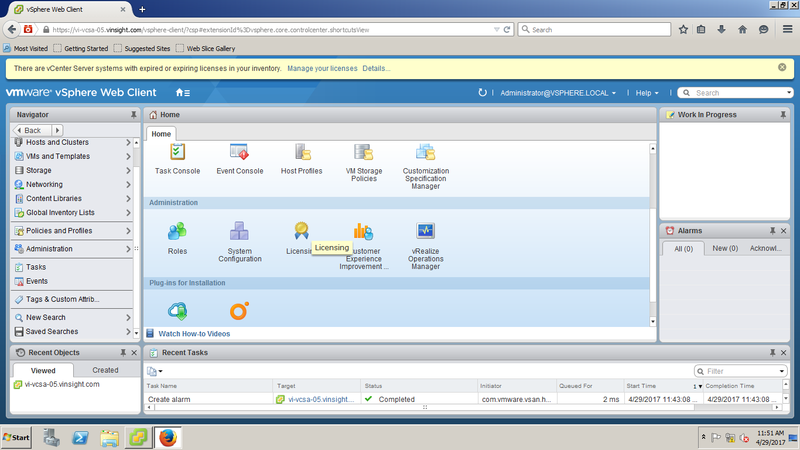 Login to Virtual Center using Web or vSphere Client. Here we have logged in thrugh Web Client. On top of console, you can see the note saying that licenses in our inventory either expired or not available. Click on Manage your Licenses in Getting Started Tab or Go to Licenses Tab. Click on + icon to Create New Licenses. 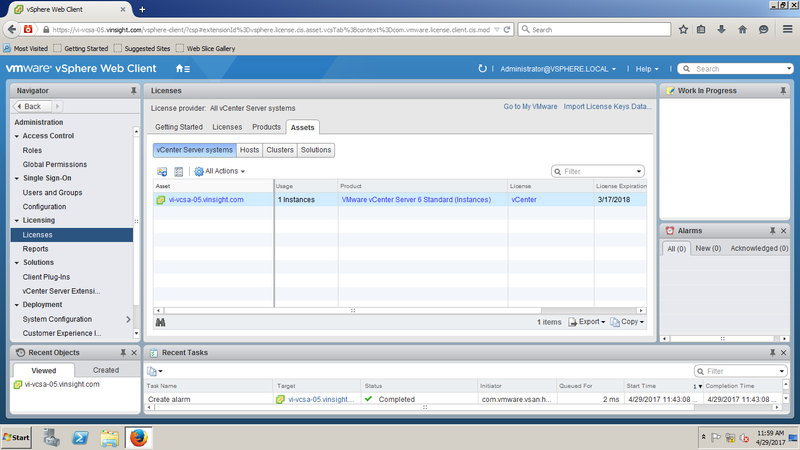 Enter the vCenter Server 6.x Standard license key and press Enter to add a new line. 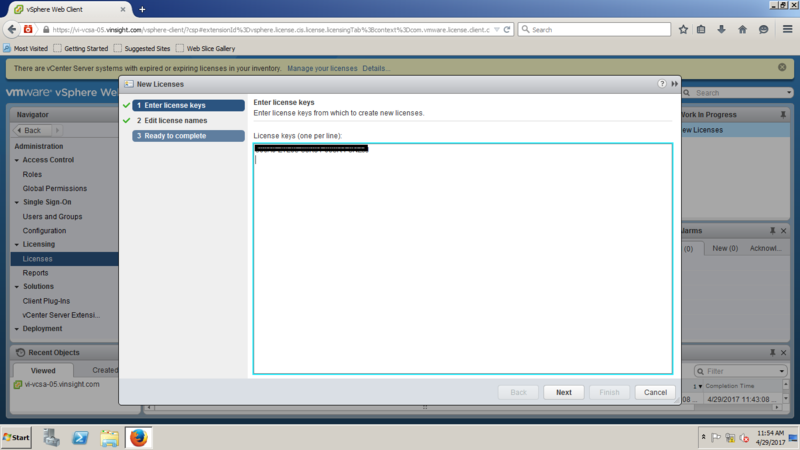 Enter the vSphere 6.x Standard license key(For ESXi), and click Next. Label the license keys as per your convinient. Click on Next. Your Licenses have been added here. Now let's move to Step#2 to Assign Licenses. 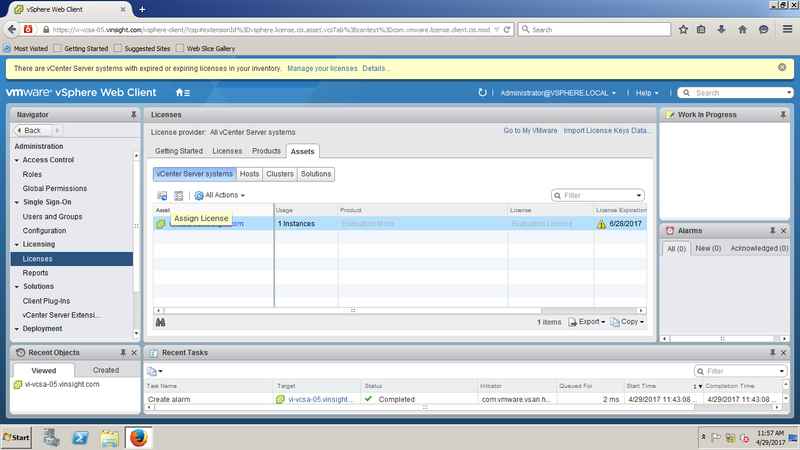 Go to Licenses Option and and Click on Manage Your Assets under Getting Started tab. It will redirect you to Assets Tab. 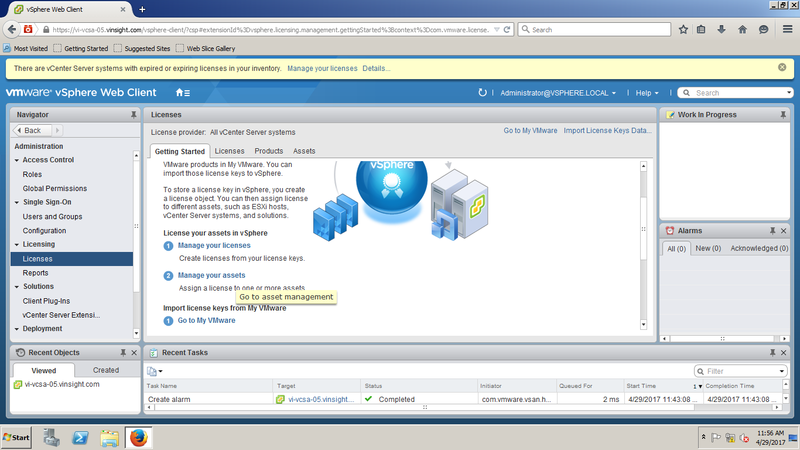 Under Assets Tab > Go to vCenter Server Systems (To Assign License to Virtual Center). 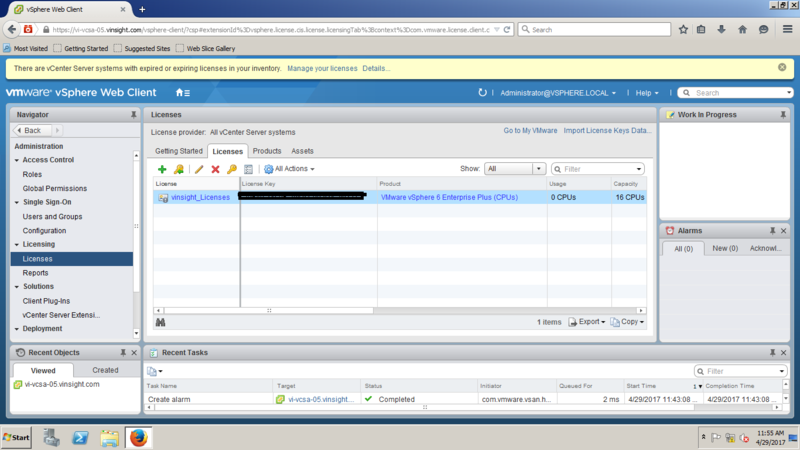 Do the same for ESXi Host in Hosts Tab if you want to assign License to ESXi Host. 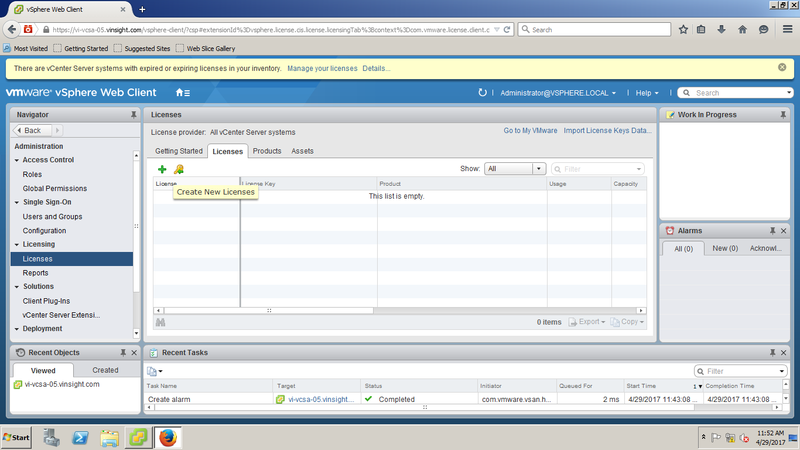 Select License and Click on OK.
vCenter Server is Licensed Now. Enjoy Managing the Inventory.